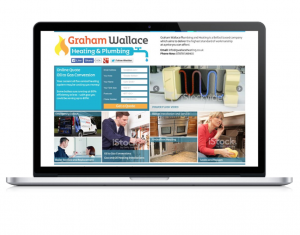 Graham Wallace Plumbing and Heating is a Belfast based company which aims to deliver the highest standard of workmanship at a price you can afford. 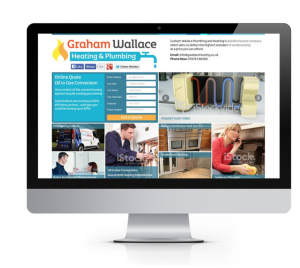 As part of our job for Graham Wallace we created a new logo for his company. 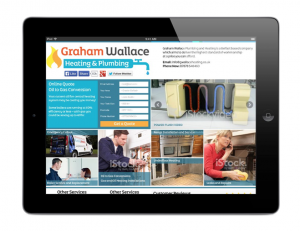 Previously to this Graham had not got a strong logo although his own name as a brand name was a wise choice as he is now widely known as a well established Belfast Based Plumber and Heating Engineer. 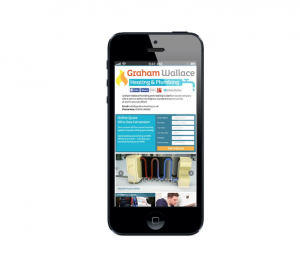 Graham adds a new article to his website, THEN facebook and twitter are automatically sent this news, We can do this for YOU!